The official site drops references to hidden cities, the Amazon... and pink dolphins. Fans who visited the official Tomb Raider site throughout March and April will no doubt have tried their hand at solving the Maya-themed puzzles being used to promote Shadow of the Tomb Raider. And to reward their efforts, Square Enix was kind enough to share some tiny clues about Lara Croft’s upcoming adventure. One of these clues was this piece of promotional artwork, which depicts a Pre-Columbian (most likely Maya) site hidden away in a tropical rainforest. The audio clips released as rewards for completing the level three and four puzzles confirm that her friend, Jonah Maiava, will be returning in the upcoming game. And while we’ve been led to believe that Lara’s latest quest will take her to Central America, the clips suggest that our heroine may be heading further south. Ignoring the fact that dolphins aren’t actually fish (they’re mammals, Jonah), this clue points us towards South America, specifically the Amazon rainforest and river basin. 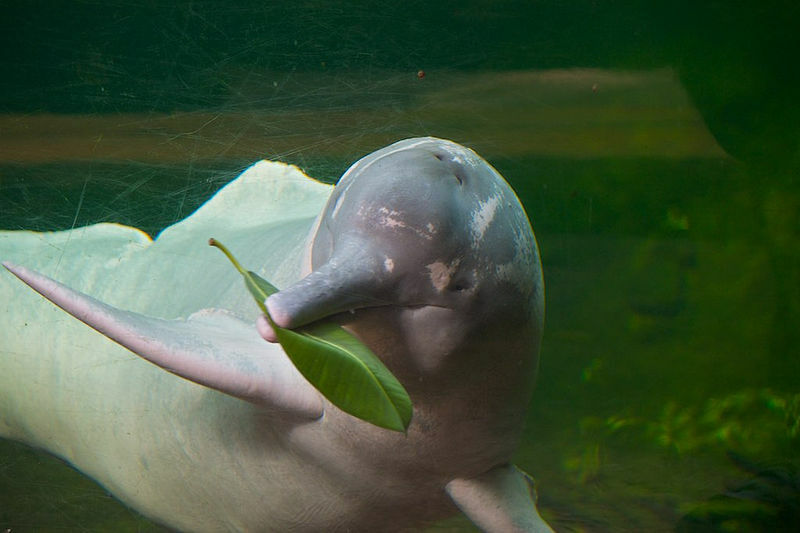 The pink dolphin, also referred to as the Amazon river dolphin, can be found throughout parts of this vast continent, most notably in Brazil, Bolivia, and Colombia. Maya settlements never sprung up that far south so it’s likely that this “hidden city” belonged to another culture or, alternatively, the writers have taken some liberties for plot purposes, much like the writers did with Kitezh in Rise of the Tomb Raider; the game’s version of the city was located much further east than its historical counterpart and was, essentially, a safe haven for Byzantine refugees. There are a number of legends involving lost cities in the Amazon, such as the legend of El Dorado (which was central to the plot of the first Uncharted game) and the Lost City of Z, which may or may not have been the ancient settlement at Kuhikugu in Brazil’s Xingu National Park. We will no doubt find out which pre-existing legends and historical events the game’s story has drawn on in the not too distant future. The Maya had an extensive pantheon of deities and quite a few of these could be considered creation gods. 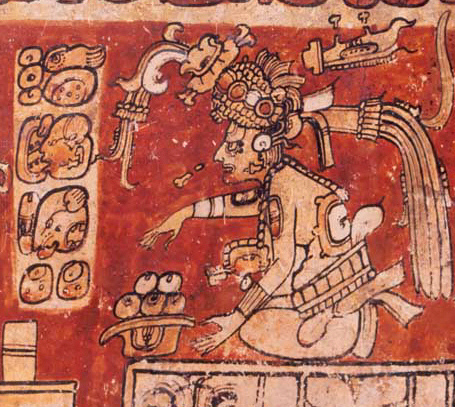 One of these gods was Itzamná, a largely benevolent and elderly god who brought civilisation, literacy, agriculture, and medical knowledge to the Maya and is thought to have taught them how to use calendars and grow maize. Itzamná was a healer with the ability to resurrect people from the dead and he was often depicted wearing a black disc – perhaps a mirror made of polished obsidian – on his old, wrinkled brow. These details call to mind Trinity’s (and Lord Croft’s) obsession with immortality as well as the Wei mirror from Mariko Tamaki’s run of Tomb Raider comics. Could this be the creator god Lara is referring to? Or are we barking up the wrong tree? The audio clip released as the crowd unlock reward for the fifth (and final) puzzle features the voice of an unknown male Trinity agent, perhaps even one of its leaders. Based on the dialogue, it would seem that our mystery man and Lara have never met face to face so we can rule out Kennard Montez; the two of them crossed paths multiple times in the spin-off novel, The Ten Thousand Immortals. And without any further context or information to go on, it’s impossible to tell if this is a completely new character or if it’s someone who has appeared (or been mentioned) in The Ten Thousand Immortals or in any of the Dark Horse comics. Update: After learning more about the upcoming game during the Tribeca Film Festival’s Shadow of the Tomb Raider panel, it’s quite likely that the mystery man is Dr. Domínguez, Trinity’s leader and the game’s chief antagonist. Shadow of the Tomb Raider will be available on Xbox One, PS4, and PC on September 14, 2018. Don’t miss the full reveal on April 27!